Coco Chanel may have famously said to take one thing off before leaving the house, but if the latest fashion trends are anything to go by, it’s time to change that rule. When it comes to accessorizing in 2017, we could rewrite the rule so it says to pile on as many accoutrements as you want before you leave the house. Instead of massive necklaces and earrings, people are customizing their looks with smaller accessories, like appliqués and buttons. Pins, patches and stickers are fun ways to put your personal stamp on everything from cell phones and laptops to denim jackets and jeans without heading into major DIY territory. And it’s one of the reasons why no one (including us) can get enough of them. Whether you go for a couple of patches, one sticker or all of the decorative elements you can find, you can create your own one-of-a-kind piece without major sewing skills. What’s even better is that the personalizing can make an old piece feel like new again. So, what are you waiting for? It’s time to get customizing. 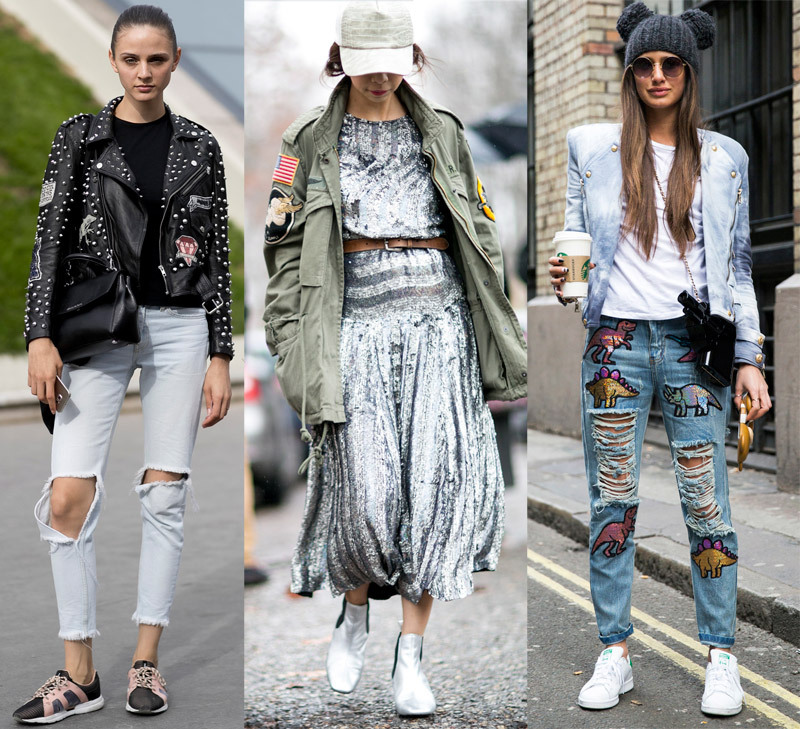 Check out the pins, patches and stickers that will upgrade your look.